As a part of our relationship with Skurnik, we are very fortunate to have David Salinas come up to Fredericksburg for six Saturdays over the next three months. Instead of bringing a 'grab bag' of wines, he will be sampling several wines from individual producers. This is the next best thing to actually visiting these producers, it is an opportunity to really understand what goes into the process of making these wines from vineyard to bottle. These are all family run estates from Germany and Austria who share a respect for the past while stepping responsibly into the future of winemaking in their respective regions. Look through the list of dates and put them in your calendar, the tastings are open to the public and are free of charge! We can't imagine a better start to our "Saturdays with Skurnik" tasting series than with Von Winning and Strub wines. 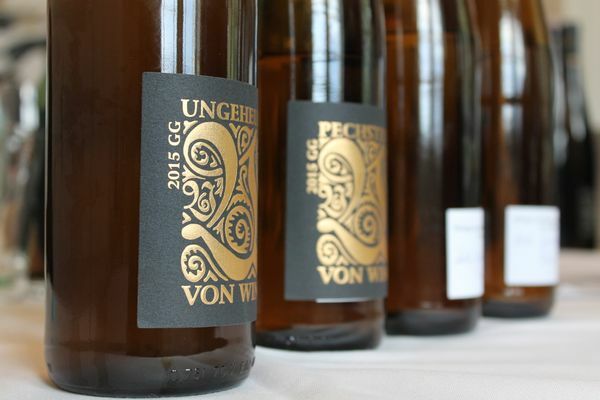 Not only will these producers introduce you to what is grown in Germany beyond the noble Riesling, they will introduce you to a new style of Riesling emerging in Germany that emphasizes sustainable vineyard practices, minimal intervention in the cellar and a drier style.